Users working with light and medium fluids will appreciate this Paasche HG-08 HVLP Touch-Up Spray Gun for its ease and flexibility of use. Whether you need to spray acrylics, lacquers, enamels, or latex this touch-up spray gun will be the best accompaniment to the job. 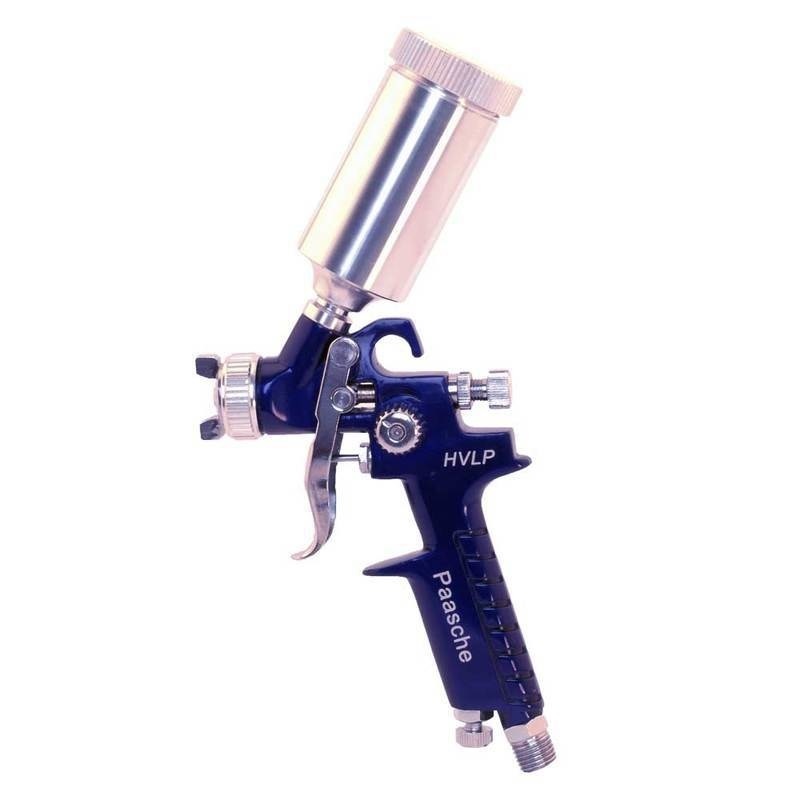 The Paasche HG-08 is a gravity feed touch-up spray gun. And this means that due to this feature, this paint spray gun requires only low-to-medium pressure level to operate. The same feature, as was already said above, allows for atomizing fluids of different thickness, from light to medium. All you need to handle them is to adjust the air pressure level. By doing so, you ensure optimal spraying of a medium. Besides, such feed system also reduces overspray and paint bounce from the surface. As a result, the HVLP spray gun creates a superior touch-up finish while bringing down paint consumption. This Paasche spray gun is lightweight which makes it easy to control. That’s why the Paasche HG-08 is great for working on small details and touch-up finishes. Moreover, it’s possible to adjust the pressure level what helps to achieve spray patterns exactly round and flat as you need. In addition, this touch-up air spray gun comes with stainless steel elements. For this reason, the tool can be perfect both for water- and solvent-based mediums. In order to prevent clogging, use the solvent to spray with the gun and wipe off the gun’s outside every time after using the Paasche HG-08. Please, do not leave the tool immersed entirely in the solvent. Also, do not forget using personal safety equipment while working with the gun.